If you have any questions about the author services that I offer, please browse through the frequently asked questions below to see if your question is answered. If you still have questions, please feel free to contact me. Q: Do you work with Independent authors? A: Yes. All authors benefit from promotion and I am happy to work with all authors. Q: Do you help promote books in all genres? A: I will only take on a client if I feel that I can successfully promote the author and their book. I don’t want to waste your time or money if I cannot match you with blogs that promote books of the same genre. That said, here on Juniper Grove Nights, we only feature erotica books. 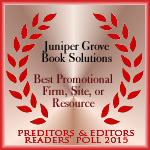 For other genres, please visit our main website, Juniper Grove Book Solutions. Q: When do I have to pay for your services? A: To keep things running smoothly, I prefer payment to be made up front. On several occasions I have been contacted for services and began organizing appearances, only to have the author back out at the last-minute. Paying upfront shows me that you are serious about promoting your work. A: Currently I only accept payment via PayPal. I will also barter if you provide a service that I, as an author, can benefit from. A: All payments are NON-refundable. That said, there may be certain situations in which a refund is warranted and I will work with you to find a solution we both agree with. Q: Once I hire you for promotion services, what all is required of me? A: You must make yourself available to respond to any interview and/or guest post requests in a timely manner. If you fail to return your answers when needed, it not only looks bad on you as the author, but on me as well. I will do my best to remind you of approaching deadlines but you should stay aware of them as well. I strive to make the process as smooth as possible for everyone involved. Q: What if I don’t have the full payment right now? Do you have a payment plan? A: You may make payments until the price of the selected service is paid in full. I am willing to work with you to find a payment plan that fits both of our schedules. Q: What is a virtual book tour? A: A “virtual book tour” is simply the term used for when an author is scheduled to visit various blogs/websites. Since the tour is virtual, the author is able to make worldwide appearances and reach new readers without leaving the comfort of their home. Q: What book formats do you accept for tours? A: I accepted print, eBook (Kindle, Nook, Smashwords, PDF), and audio books. Q: Do I have to supply my own banner? A: No. I create a simple tour banner that features your book cover, name, and tours dates that you can display to let your readers know about your tour. Q: Can I change the dates of my tour? A: Once planning has already begun and hosts scheduled, tour dates cannot be changed. Q: What is the waiting period before a tour can be scheduled? A: I require 4 weeks for proper planning and organization of all book tours. If the tour is an emergency, I can still organize it provided that time and space permits, though an additional fee may apply. Q: Will the reviews that you organize be positive? A: I cannot guarantee that the host/blogger will leave a positive review. All I ask of them is that they give it an honest review. Q: What do you mean by “appearance”? A: An appearance is simply a single visit to a blog or website. 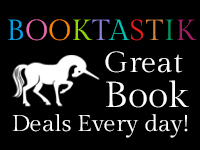 This visit could be an interview, guest post, author spotlight, or review request. Q: What is the required length for each guest post? A: Some blogs have their own requirements but the average length for guest posts are a total of 300 – 500 words. Q: What if I am unable to think of a topic to write about for a guest post? A: Some bloggers will provide you with a topic that interests their readers. If no topic is provided, I can provide you with a topic if requested. Q: What kind of sites will I be appearing on? A: The types of sites will depend on the genre/content of your book. The majority of the sites will be various bloggers, located worldwide, to help exposure. One of the best ways to spread exposure of your book is by word of mouth and tapping into the blogger circle is a great way to get you and your book noticed. Q: What about giveaways? Do they help the success of my visits? A: Yes. In my experience, author appearances that contain a giveaway receive much more traffic and interest than appearances that do not have a giveaway. Q: So why do giveaways help? A: Giveaways give readers who are unfamiliar with you and your work a chance to try out your writing without having to pay for something they aren’t sure they will like. Readers are often hesitant to pay for a book when they have never heard of an author before, especially when they can use that money to buy a book from an author they know they like. Q: Who is responsible for sending out review copies? A: If you prefer to send out review copies so that you know exactly how many are being sent, you are welcome to send them personally. If requested, I can send the eBook review copies on your behalf. I will never send any copies that you have not approved of first. Q: Do you send out the giveaway copies? A: If the giveaway copy is in eBook format and you prefer I send it, I can with the same circumstances as the review copies. If the giveaway is for a print copy, you are responsible for shipping the prize in a timely manner. Frequently Asked Questions are subject to change without notice.